UNFORTUNATELY THIS EVENT HAS BEEN CANCELLED DUE TO THE ILL HEALTH OF DR EMOTO. The Spiritual Shepherdess Group is pleased to introduce… An ORIGINAL THINKER…. I am absolutely honoured and delighted to welcome this most esteemed Japanese gentleman back to our shores this autumn. 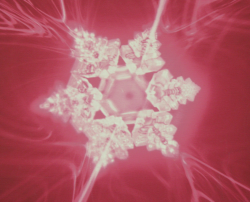 Dr. MASARU EMOTO’s stunning water-crystal photographs have enchanted millions of people in his many books. His groundbreaking work has shown that thoughts and words have a direct effect on water-crystal formation, and since our bodies are mostly water, our thoughts and words certainly affect not only ourselves, but the world around us. In Dr. Emoto’s books he brings water’s message of love, peace, and hope to the next generation. Entertaining and educational, his books offer an understanding of water that will encourage parents and children alike to value and give thanks to our most precious resource. By exposing water to a particular word or piece of music, freezing it, and photographing the ice crystals formed, Dr. Emoto has shown that from beautiful words and music, come beautiful crystals, and from mean-spirited, negative words, come malformed and misshapen crystals. 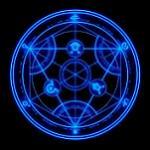 What is the significance? It becomes clear when we remember that the adult human body is approximately 70% water and infant bodies are about 90% water. We can be hurt emotionally and, as the water can be changed, for the worse physically by negativity. However, we are always closer to beauty when surrounded by positive thoughts, words, intentions and ultimately those vibrations. Dr Emoto is a longtime advocate for water and now spends a majority of his time traveling around the world giving seminars, in order to spread the message of peace that is indicated by the crystals he has photographed. He is President Emeritus of the International Water for Life Foundation, a not-for-profit organization that is in the process of distributing his free book for children The Message from Water, as promised in his keynote speech at the United Nations in 2005, to every child on the planet over the next ten years. We don’t know how many more times Dr Emoto will be able to visit the UK, so don’t miss this valuable opportunity to witness one our most respected and knowledgeable visionaries and original thinkers in action. Ticket details will be released very soon, but please do show your interest by clicking the “join” button. Looking forward to seeing you there….